Smartphones are more about cameras in this generation than phone calls, the original purpose the “phone” served. Well, it’s the Snapchat generation and people need great cameras to show off their best. It could be said that Apple was the first to actually put some decent camera tech on any smartphone, however, other companies followed suit and now the Google’s Pixel 2 is the king of cameras. However, the top tier phones still come with two camera sensors on the back and one company is very keen to push the limits even further. 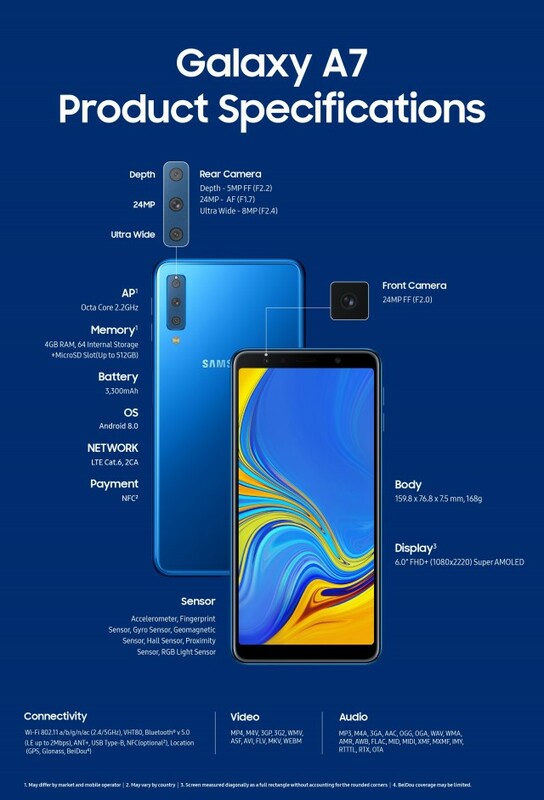 Meet the Samsung Galaxy A7 2018 Edition, it sports three camera sensors on the back. It’s not the first in the market, Huawei has already done it in the past but Samsung’s A-series of phones is much more mainstream compared to Huawei’s. Let’s break it down. 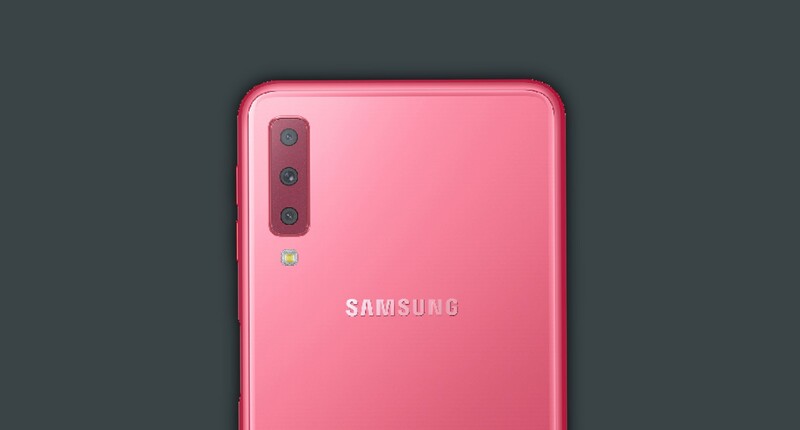 The primary camera on the back of the Samsung Galaxy A7 2018 is a 24MP sensor behind an f/1.7 lens and the second in line is an ultra-wide 8MP f/2.4 lens with 120° viewing angle. Whereas the third lens is a 5MP depth sensor used for those glossy portrait photos that every smartphone manufacturer is going gaga about. But how good do those three camera modules perform in real life scenarios? Well, of course numbers are easy but it’s the result that matters. However, the product hasn’t hit the stores yet, so at the moment we don’t know facts about the actual performance of the cameras. However, if we look at previous Galaxy A phones, the cameras tend to be decent, of course not as great as the top tier S8 or the S9. Also to be noted, the Pixel 2 and the iPhone XS sport far better cameras than the Galaxy S9, so if you need the best of the best smartphone camera, then skip the Galaxy A7 2018.